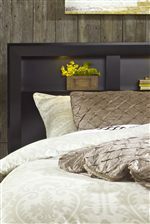 The perfect companion for a contemporary bed, this nightstand enhances any bedroom with sleek style. Two drawers provide simple storage for bedside necessities, while tapered block feet create a stable base. Metal linear drawer pulls pose a striking contrast to the Glossy Black finish for a look that exudes modern sophistication. 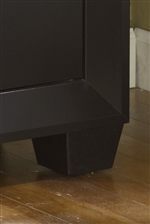 The Hudson 2 Drawer Nightstand with Tapered Block Feet by Lang at AHFA in the area. Product availability may vary. Contact us for the most current availability on this product.